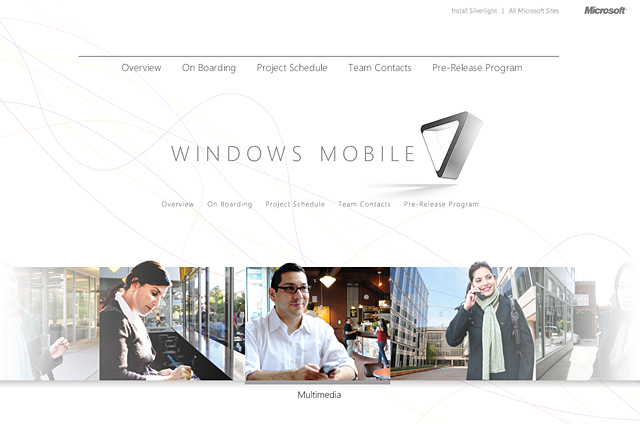 Microsoft�s Windows Mobile 7 group wanted an internal site to help promote and launch the new mobile operating system. We delivered a clean design including a banner to be animated in Silverlight by a different agency. The design included looping video clips that activate on mouseover. The Windows Mobile 7 group was very happy with the outcome, both in terms of design and functionality.